A well known and reputed source for Destiny leaks has confirmed that Destiny 2's first DLC will be called "The Curse of Osiris". Due for release in December, the first DLC for Destiny 2 will include the planet Mercury and a new social space. The DLC name itself, The Curse of Osiris, is certainly something we have not heard until now, although the December release date is more than predictable given the release of The Dark Below, Destiny 1's first DLC. 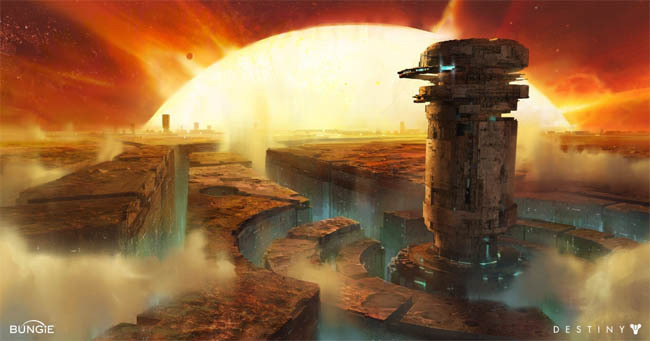 If the Kokatu rumour is true, and Jason Schreier has been right every time before, then this will be the first time that Destiny fans have been granted access to the planet Mercury, which was long speculated to be one of the DLC expansions for the original game, but never transpired. New destinations have always been something that fans come to love, just thinking back to the Dreadnaught and other lush environments that Bungie is so good at creating. Details from the source also confirm that the DLC will extend the already expansive patrol zones that come with the base game, Nessus, European Dead Zone etc. and include an explorable zone on the new planet, Mercury. As with other patrol zones in the game, this is bound to include new Lost Sectors, Adventures and Public Events. There was no mention of strikes or whether this DLC will include a new raid, but given the lore behind Mercury we can hazard a guess at the nature of the enemy. As fans will happily tell you, the Vex populated Mercury during the Collapse, transforming the planet into a machine within a few days. The renegade Sunbreakers and the cult of Osiris are the only remaining institutions on Mercury following the Collapse, we may therefore get to see NPC's from either or both of these establishments in this DLC. It's no surprise that this DLC will also feature a new social space that brings players together at the Lighthouse, an environment well known to Trials of Osiris players that have competed in Destiny's most competitive PvP event. This new social space will be in addition to The Farm, which is the game's foundation social space and from which players can meet, plan and engage in new activities together.